HOT DEAL: Win an Asus N53 laptop with B&O ICEpower sound at Comet | What Hi-Fi? 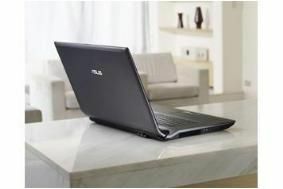 Shoppers will have the chance to win not only the laptop, but also a walk-on part in an unnamed British film in 2011. And everyone who enters will receive £200-worth of money-saving vouchers from leading brands such as LoveFilm, Criminal Damage, Prezzbox.co.uk and the Chocolate Trading Co.
All you have to do to enter is to visit the Asus Airstream trailer that will be visiting various Comet stores between now and Christmas (details below) and have your picture taken in store. Alternatively, if you can't make the dates given, just take a photo of yourself striking a pose and email it to getintocomet@asus.co.uk. Everyone's pictures and full details of the competition will be posted online at www.asus.co.uk/event/getintocomet.